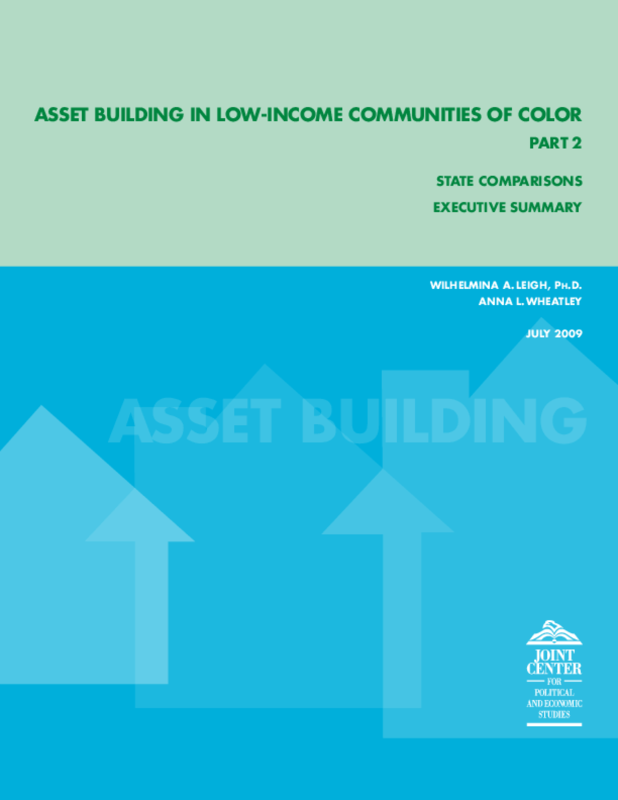 Examines practices and policies in states not ranked highly for promoting asset building in large communities of color. Compares factors viewed as supportive of asset accumulation as well as promising practices with those in states ranked highly. Copyright 2009 Joint Center for Political and Economic Studies.